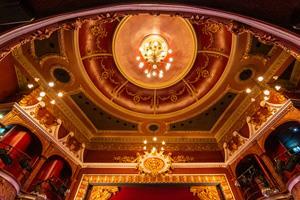 Harrogate Theatre is opening its doors for you to come and take a snoop around. Come along anytime between 10am and 2pm and look around one of Harrogate's most beautiful spaces. Take a tour of Harrogate Theatre and find out about the workings of a professional theatre. Find out about the history of the building, some of the famous names who have appeared here, everyday sayings that have their roots in theatre and superstitions that have grown up around the stage. Book on to a tour below. Please note that access around the theatre is via stairs.